Kason Industries is a leading manufacturer of quality and durable locks, hinges and components for use in all applications including refrigeration, truck and van bodies, industrial and storage container, operator cabs, partitions and safety cages. Kason's patented SafeGuard series walk-in cooler door locks, including K55 & K56, are just two examples of long-lasting quality lock sets for demanding high traffic coolers and user cabs. 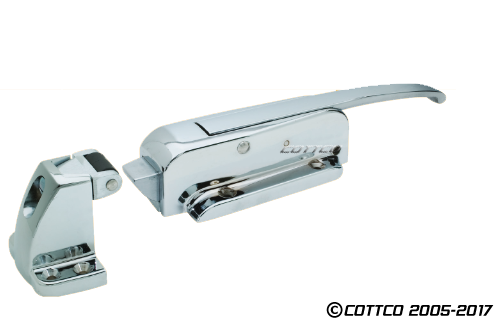 Cottco Specialty Hardware is an authorized reseller of Kason Products. We sell complete lock sets and select replacement components. Please contact us for more information or call us toll free with any questions you may have 877-283-1745.